Bringing you all the best in todays top Christian Contemporary music. Theresa Ross is an award-winning talent and veteran of markets like Indianapolis, Orlando, Miami, and Jacksonville. She currently is heard in many major markets from Dallas, to New England to Las Vegas to Southern California. She has been consistently recognized by broadcasters as among the top talent in Christian radio. Theresa has also won multiple awards from within the Christian music industry and is a two-time Echo Award winner, including Personality of the Year. Canadian Mosaic is a twice daily program, bringing you details on the origins and backgrounds of various faiths from around the world. In keeping with our obligation to provide broadcast time to other religions - we present this show. Melissa is a wife and mom of 3. Melissa wants to connect and encourage you in your journey, and invites you to join her on Facebook at On-Air with Melissa Stover - stop in and say hi! Words from the Heart is a daily devotional brought to you by Bob Beasley, Bible League Canada's Vice President of International Ministry. This powerful broadcast will boost your spiritual growth by helping you understand and apply God's Word to your life and the life of your family and church. 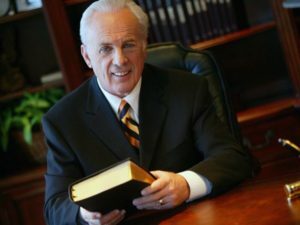 John MacArthur, pastor-teacher, has been offering his practical, verse-by-verse Bible teaching through Grace to You for nearly 40 years John MacArthur is the pastor-teacher of Grace Community Church in Sun Valley, California, president of The Master’s College and Seminary, and featured teacher with the Grace to You media ministry. Grace to You radio, video, audio, print, and website resources reach millions worldwide each day. Over four decades of ministry, John has written dozens of bestselling books, including The MacArthur Study Bible, The Gospel According to Jesus, The New Testament Commentary series, The Truth War, and The Jesus You Can’t Ignore. He and his wife, Patricia, have four married children and fifteen grandchildren. 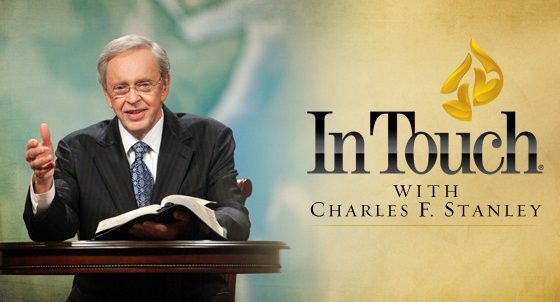 Charles F. Stanley is the founder of In Touch Ministries and a New York Times best-selling author. While his teaching is transmitted throughout the world to millions of people, Dr. Stanley has been said to demonstrate a practical, keen awareness of people's needs and provide Christ-centered, biblically-based principles for everyday life. Dr. Stanley teaches on one of God’s greatest gifts: grace. Because Jesus lived a sinless life as a man, He was able to be the perfect sacrifice for our sins. His death on the cross made it possible for us to receive God’s grace. The question now is: What will you do with such a gift? Live in the Light exists to see radical transformation in God’s people through the revelation of God’s truth. We believe that through the faithful and passionate preaching of God’s Word, disciples will be made and the church will be strengthened. Our prayer is as people are impacted by Live in the Light they will be renewed in mind, reinforced in faith, and resolved in will to live in Jesus Christ. Robbie Symons is the founding Pastor of Harvest Oakville, and the voice of Live in the Light. His greatest passion is to see Jesus Christ glorified as people realize their potential only through His amazing power. Robbie went on air in 2014, and has been speaking of the power and grace of the Lord and sharing His teachings through Live in the Light since. Robbie and his wife Gillian live in Burlington, Ontario with their four children. Spend time with those listening for half hour, directing them to Jesus and encouraging them to spend the other ½ hour with God alone - Revival Hour. We are believing God for your miracle, we are believing God to meet you, the listener, where you are at, to restore, to renew, to revive and speak to your heart. We live in desperate times and we need to listen to the voice of God, Jesus said, MY sheep hear my voice and they follow me. We need to hear the voice of the creator, the one that only wants what is best for us and knows our past, present and future. God has promised to move through these radio programs and meet people’s needs, whether they are physical, spiritual or emotionally. Enjoy the journey with us! The Road to Reality Radio Program asks people to seek a deeper walk with Christ, to live a life wholly centered on Him and to minister to those who are desperate for God's love. Radio stations across the nation air Dr. K.P. Yohannan's thought-provoking Road to Reality messages. In these teachings, Dr. Yohannan draws from Scripture and from his own 50-year journey of walking with Jesus to encourage believers to listen for God's voice and to live in authentic obedience to His Word. His heart's desire is to see a new generation catch sight of the Lord's burden for the lost in their generation and to give themselves, no-holds-barred, to His work. The picture perfect life is attainable, it’s just the contents of everyone’s picture is different.” Lisa Berry is recognized as one of the brightest talents in Christian broadcasting. Her ability to connect with an audience, especially women, is well established. Let the Bible Speak exists solely to publish the truth of God’s word. Rev. Ian Goligher and Rev. Andy Foster pursue the goal of avoiding his own ideas and notions, to preach the truth of Scripture, interpreted and understood by Scripture itself. In our broadcasts you will, therefore, hear repeated emphasis upon the actual words that God has given. It is our prayer that the Lord will bless His word to the heart of every listener. Let the Bible Speak Canada is the radio ministry of Canadian congregations that are part of the Free Presbyterian Church of North America. The Gospel Truth w/ Andrew Wommack A daily, 15 minute program from Andrew Wommack Ministries. Andrew’s heart is to see everyone set free by the truth of God’s unconditional love and grace. Please enjoy his daily teachings, and visit the ministries homepage for more information. Dr. J. Vernon McGee, our founder and teacher, loved to tell the story more than anything else in the world. 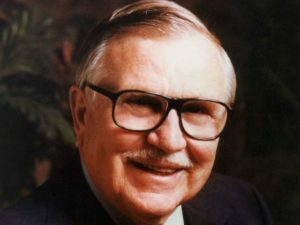 He began teaching on the radio in 1941, and his voices and stories stand today through the Bible, simply told. At the core of what Thru the Bible is and what we do, is the conviction that the Bible is true and trustworthy. We believe God uses His Word uniquely in each of our lives to transform the way we think, believe, and live. How does He do this? We believe that, in part, He does this by telling us His own story: The story of His love, His redemption—a story that He planned and put into place before our time began. At its heart, it’s the story of how He has opened the way for us to know Him, to love and obey Him, to grow deeper day by day in the ways we trust Him. It’s a beautiful story that gets better every time we hear it. 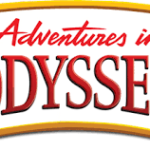 It’s the story Thru the Bible tells every day on the air and invites people to listen.